You can enable dark features using either of these methods. This option is more suitable for someone that manages a large number of instances, as it is a method that can be automated to set these features on startup. 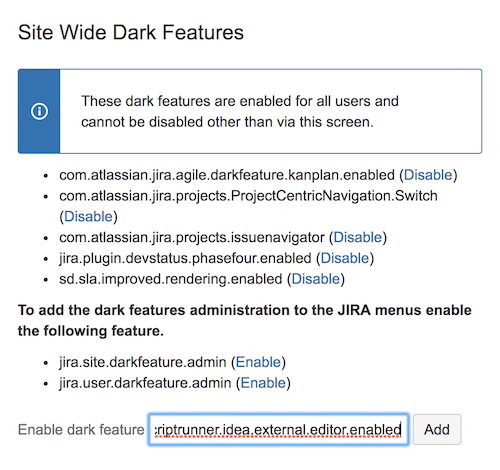 First, read the Setting properties and options on startup tutorial for your operative system in the Atlassian documentation site. The property key that you are enabling must be preceded by "Datlassian.darkfeature". From here, simply paste the property key into the text box labelled "Enable dark feature" and click Add.